On December 24, Christmas Eve, Filipino families, particularly those of the Catholic and Christian faith, gather for the Noche Buena or Christmas Dinner – a big family feast to celebrate the Christmas season. The Noche Buena is a much-awaited event as the occasion does not only gather the whole family but also promises the best prepared and special meals cooked by the household with luxury items such as imported cheese or Queso de Bola, apples and grapes and drinks. 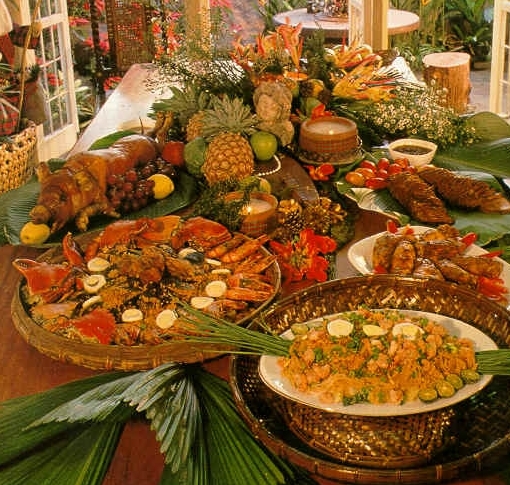 Native Philippine dishes and delicacies are served and food is in abundance since family, friends and neighbors are expected to drop by for a visit, and one has to show hospitality and good cheer to everyone. Obviously adopted from the Spanish custom of Christmas celebrations, regalo (gifts) are exchanged and children are particularly indulged by their parents, uncles and aunts with toys, clothing and other presents. Catholics are also expected to attend the Christmas mass on Christmas Eve after which the dinner will be served for everyone to enjoy. More than weddings or birthdays, it is the Filipino’s Noche Buena table that is almost always laden with so much food at any time of the year.